Prayer is the single biggest need of every mission partner, yet it’s also one of the most overlooked ones. Many of them will send regular prayer letters, which may be poorly written, have lots of strange names and places in them, and not really engage our enthusiasm. So give them some feedback and encourage them when they do a good one. When do you pray for mission partners? Many churches hold a monthly mission prayer meeting, which is often poorly attended. That’s usually because it’s poorly led. Be creative and imaginative: here’s a hint on how to do things differently – www.syzygy.org.uk/praying-creatively-for-your-mission-workers. Bring food from a specific country you’re praying for. Show videos. Use skype to talk live to a mission partner. Actively drive the agenda forward – many prayer meetings just leave people with no leadership or guidance and the prayer fizzles out easily and people start nodding off. The more enjoyable you make the meetings, the better the turnout and the more engaged people become with world mission. Some churches which support many mission workers can arrange multiple prayer meetings, so that they are more keenly focussed on certain individuals and therefore attract their friends. If you can’t manage that, you could try praying together for an hour for general issues, and then break up into small groups focussing on specific mission partners, or alternatively focus on certain issues or countries. Please remember your mission partners in your Sunday intercessions. Like you, they’re probably going to find Sundays demanding. It also reminds your entire congregation that they partner in mission with people serving overseas. 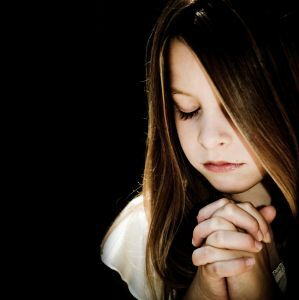 Include prayer requests for them in your newsletters and notices. You might like to set up a prayer hotline so that in emergencies mission partners can get prayer support going really quickly. Circulate their prayer requests to the church by email, though be careful who you’re communicating to as you don’t want to compromise their security. Remember to include them if you’re doing a 24/7 prayer week, and if you have daily meetings you could also mention some of them in those. Particularly pray for them if their country has been in the news recently. How do you pray for mission partners? Pray that they will have a vibrant relationship with God. Serving in the mission field can be very hard spiritually, and there’s not always a lot of Christian teaching input in their own language. So by praying this, you’re helping them pray. Pray that the Holy Spirit will lead them and guide them. Pray that the Bible will continue to feel alive to them. Pray for their practical needs. Mission partners often spend a huge amount of time booking flights, struggling through traffic, looking for scarce shopping items, waiting in offices for permits and loads of other ordinary things. Pray that God will give them grace to deal with people and bless their business transactions. Pray for their health and safety. Many mission partners are vulnerable to diseases they didn’t grow up getting used to, and fall ill from illnesses like malaria even if they’re taking all the precautions. They also travel in dangerous places and may be at risk from road accident, robbery, kidnap, bribery or murder. Pray for their ministry. It’s likely that there are many challenges they face in ministry, so pray that God will bless their work and the people they work with. Pray that they will communicate effectively. Good communication helps them live more easily as well as tell people the gospel well. Pray that they’ll pick up the language, understand accents and learn idioms. Pray for their relationships. Marriages come under pressure on the mission field, parent/child relationships can be stressed (particularly if children are homeschooled or away at boarding school) and single people can struggle with loneliness. Pray that they will build good supportive relationships, resolve conflicts, and communicate openly. Pray for their finances. Raising funds is often a huge challenge for mission partners. Pray that they will know God’s provision for them. Pray that they will be wise with their money, and will be able to reconcile their relative wealth with the huge needs of the people they work with. Pray for their down time. Many mission workers are so highly motivated that they find it hard to stop work and relax. Often there are no nice places to go to relax, and their hobbies may be impractical where they are living. This can have a bad effect on their health in the long run. Pray that they’ll be able to switch off. Pray for specific needs. They will be sending out a regular prayer letter, so use it as a guide to their current prayer priorities. Pray for their security. Many mission partners work in countries where it’s illegal for locals to be a Christian, or to convert. Pray that people working in these countries will be discreet, avoid detection, and keep their colleagues safe. Pray for the country they’re working in. Pray for the church, that Christians will be bold in sharing their testimony and resilient in the face of persecution. Pray that God will have mercy on that country and that the government will be tolerant of Christianity. Pray for their character. Often, under pressure of culture shock, stress and isolation, the negative side of people’s character can emerge. This can result in unhealthy or even destructive behaviour, which will be a bad example to local believers and a poor witness to non-Christians. Pray that God will give them grace to hold up well under pressure and to handle themselves responsibly. Pray for their agency, if they have one. Agencies have many challenges – legal, financial, relational – and leaders can spend a lot of time fighting fires. Working relationships can get fraught. Pray that God will guide them and give them the grace they need. Pray for them if they don’t have an agency. Agencies often meet many support needs of their mission partners. Without an agency they can easily become isolated or stressed. Pray that they’ll find creative and legitimate ways of meeting their needs. Pray for God to send more workers. The more workers there are in the field, the easier the job should become for overworked mission partners, and the sooner they’ll get it completed!